Was in the paddock and pitlane today at the Acura Long Beach Grand Prix and saw Zak Brown with Michael Andretti. Zak was at the event this weekend talking to the press about Alonso and McLaren in Indy possibly fulltime in 2020. I found it interesting he chose to go to the Long Beach Grand Prix over the F1000 race in China, but clearly Alonso and Indy are priorities for McLaren. He was driving in a race there. Ah, that explains it. Must have been an important race. whats your point? zak brown is CEO of motorsports at mclaren, not just f1. do you think zak hanging out on the pitwall is going to affect their performance? It's a chance to promote the Indycar project,, probably also seek out more Stateside sponsorship? His portfolio is CEO of Motorsport for McLaren, so he doesn't have to attend all F1 races, Gil was on hand in China. In fact, once Andreas Seidl arrives and fully settles in, Gil won't need to attend all races either. It's one thing to hire good people, it's another to allow them express themselves. If Zak and Gil still attend all races, it's hard to see Andreas being in charge of the F1 team. Red Bull last year had 3 or 4 wins with the Renault Engines. This year with the Honda engines they are nowhere near the first two places. These 3-4 wins are spread over a COMPLET season as already stated, the win in China was lucky last year, then it took RB till Monaco to take another win, then it was a suprised win in Austria after that they had to wait till Mexico for there 4th win. It would also be unfair to compare Mclaren and Renault with Red Bull at the moment because Red Bull has a better chassis. A better comparison is with Torro Rosso who at the moment is getting trashed by both teams. why is the comparison unfair? do both teams driving in F1 or did i missed something? 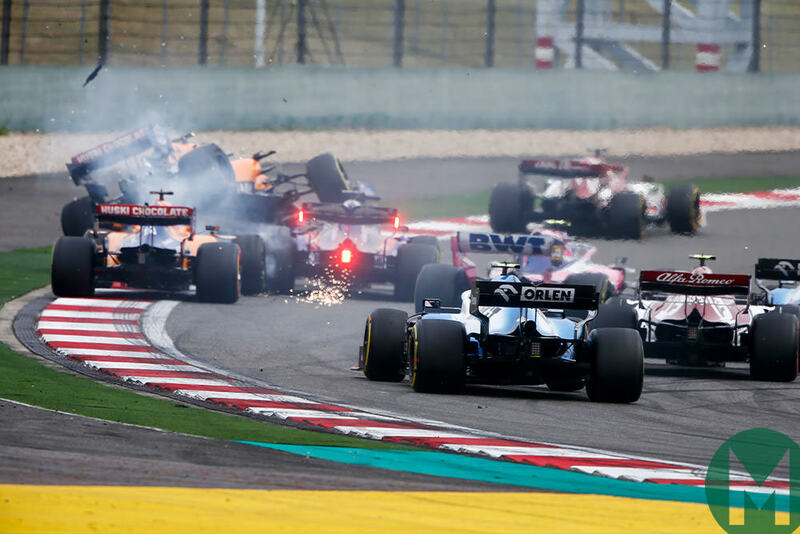 and where is Toro Rosso being trashed...… Albon drove from pit lane to 10th, could he got that if the 2 McLarens weren't damaged….. who knows maybe, maybe not, but we can never tell. 1)Red Bull is nowhere near last year levels. 2) Where exactly do you see delivered promises? 1) they are... considering they had 55 points last year around this time (with the lucky win of RIC in china) and now they have 52 points. 2) Honda gave RB EXACTLY what they promised because that, as Alonso said, "GP2 Engine" is now par or even a bit ahead of Renault engine. better asked which of the teams has had more DNF due to engine related problems? And finally we all know how many times Verstappen is causing collisions. Any driver of Championship material would be able to avoid risking a collision if they know they are faster. you have to ask WHY did Verstappen had to take so many risks? partially he does it because he races, on the other hand he had to take to risks because the racepace of the RB last year was almost the same as that of the mercs and ferrari but he had to make up places because the engine they had wasn't powerfull enough in quali. and honestly said those risks paid off, after race 6 he was way behind in WDC, he ended up 4th in this standing with only a few points behind RAI. And how many collisions did Verstappen caused this year? Also if by experts you refer to the Stewards I wouldn't trust them much since many times they have made mistakes. who says i meant the stewards, and if you don't trust them or better said swallow the opinion of Crofty & Co then why should we have stewards anyway? The fact remains that they destroyed our race two times in a row which could have resulted in many more points. Perhaps a better solution would be that some drivers should not even be in F1. and again as said i can't say anything about the accident in China because i haven't seen the race. so if(a big if) i would agree to your opinion "they race was ruined due to" it was a TR mistake not a RB. and now you made me curious on which driver shouldn't be in F1? the only one i could think of in the current field are Grosjean and Stroll. Kubica & Russel still has to prove himself, although i am afraid they won't do it due to a bad car. Norris and Albon already proved themselves to be F1-material. so far to answer to your opinion …..
back to my original statement, "to see your hopes crushed by a Renault failure .... again"
which of the cars had more DNF due to engine problems? Cars that were Renault powered or Honda powered? Guys, are we seriously still doing this? Why can't we just move on and keep the threads about what they're supposed to be? This Renault vs Honda or Red Bull vs McLaren and who's doing better is not the intention of this thread. Contributions should be constructive, even while being critical. Let's respect the teams and the fans of the teams and not try to bait each other into starting a never ending argument, especially about things in the past. First of all it is unfair to compare Red Bull and Mclaren at the moment because Red Bull is leagues ahead in chassis but don't you worry. I am trashing the sister team Torro Rosso and your other driver Gasly. Secondly yes Red Bull got 4 wins in a whole season but this year they went a step back with the new engine. They aren't going to get a victory as they are nowhere near the front. By this logic they were lucky this year to have achieved 52 points since Verstappen didn't paid the price for collisions he caused and due to stupidity of the Ferrari so far. That statement was back in 2015 when Honda Engine was indeed trash. You can't pretend that it wasn't when it was the slowest by far and literally a ticking time bomb. Nothing forbids that a company cannot evolve but to be ahead of Renault? I think you are delusional. Finally I am just wondering where were you in the last two races? Did you wait for this race for Mclaren to go bad so you can trash talk? Why does it matter so much to you what Honda does on a Mclaren forum? Do you see anyone here caring about Honda or the other teams? Newsflash. I don't care what Renault or any other team does.I am a fan of Mclaren and I want in the end of this year to be 4th and from what I see I am not 4th by sheer luck so far but it will change. Honda had their chances to prove themselves 5 years now. They failed to deliver their promises and Mclaren ended their partnership. Perhaps if they are better in the distant future then we can try again. Also thank you Ground Effect. That is what I am trying to say so far. @Ground i do discuss logical and i do discuss about the McLaren, but a part of the McLaren is a Renault PU, which has already failed multiple times. I aint the one who is blaming another driver for the DNF of one another. Why do people still think Honda is trash. The "GP2 Engine" comment was made in 2015, 4 years ago, at a time when Honda was so underpowered it was a joke. It is very stupid to use a comment by a driver which was made 4 years ago as an argument. It was true back then, but right now it has no context. Honda improved a lot in 2016 and they were preparing for a big step in 2017. They got the design wrong, because the engine was suffering from a lot of vibrations. McLaren felt they had done a great job in the chassis that year and they felt like the engine was holding them back. And really, at the start of the 2017 season that engine was a nightmare. The GPS data suggests that McLaren really had a good car. It probably wasn't the "best chassis" on the grid as some people from the team were claiming, but it was not utter ---, and with a powerful engine, it could have been close to Red-Bull (at least at the start of the season, since Red-Bull had some problems in early 2017). Whether people believe these things or not, it's up to them. The thing is, McLaren split with Honda because they were not getting what they were promised for 3 straight years, and they truly believed that they were capable of fighting at the front if it wasn't for their underpowered engine. The next season, Honda finally got their design right, and made the step they should have made in 2017, and McLaren, now with a new engine which won races in another car, faced the sad truth that they had fallen low operationally, and the engine was not the main reason for their disappointing performance. Now McLaren and Honda have split ways, and they are both working to improve. Honda is no longer the lawnmower engine they were a couple of years ago and McLaren are no longer delusional. After seeing the issues last year, McLaren is slowly trying to fix their problems, to try and go back to the top, and the same is happening with Honda. There is no need to keep referencing to McLaren and Honda drama as they have no connection with each-other anymore. Don't try to play the victim here.If you didn't wanted someone to react then you shouldn't trash talk Mclaren or Renault. I don't see the point of this whole thing. What is the message you want to give us cause to me you sounded like you are gloating about something. It's obvious both Renault and Honda have evolved but I don't see the point bringing up Honda or Renault on a Mclaren forum. Currently the problems are with the RENAULT WORKS TEAM and not with MCLAREN. I don't see why we should care. I don't get it. Are you saying that we should have sticked with Honda when they haven't delivered anything significant for 5 years even though they knew that they would join with Mclaren from 2013? Drop it already. That partnership was a mistake from the start. They should have waited some seasons instead of becoming a guinea pig. All I can say is that the Renault deal is I think till 2021. If they don't deliver till then, then you might see that Mclaren Honda combo again as they haven't closed the door. is the McLaren driven/powered by Renault? so ist the Renault PU important to McLaren? if you answered both with YES, a revering to Renault PU is relevant in a McLaren topic in which is the Title "2019 Mclaren F1 Team - Renault"
should you care about that PU? all that i stated was the fact Renault didn't gave what they promised McLaren, not on power and not on reliablity. Fact = McLaren uses a Renault PU, they already used 2 MGU-K each, Sainz used 2 MGU-H, ICE and TC, these parts come from Renault. even... i said ""to see your hopes crushed by a Renault failure .... again" .... this should be seen as acompliment towards McLaren for building a good chassis, not top notch yet but it's coming along. this is my opinion and if you need to rate it negative because you don't agree with a posting instead of looking or asking and debatting/discussing the post, it shows clear you aren't willing to discuss in a Forum topic. Yep, if you're being honest. they've done a better job from a reliability point of view than Renault. In McLaren's hands the Renault PU hasn't been that bad, just the one issue with the MGU-K. They got around that with a Mapping adjustment. The other 2 issues, I believe , were transmission issues. Personally I don't see why we have to compare ourselves with Honda. What is the point?